Earlier this year, I attended a training for Ask Big Questions, a non-profit that I work with on their social strategy. At that training, a student I met connected me to Professor Don Stanley from the University Of Wisconsin via Twitter. 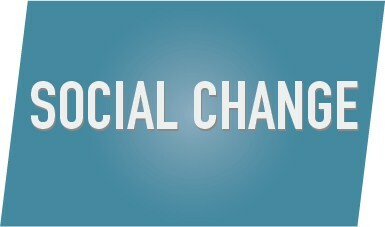 Don and I spoke on the phone about his class, informally titled Social Media for Social Good. When I heard the concept for the course, I knew I had to write about it. Don has taught the course since 2011. The first half of the course, Don teaches his students about all things social media. The second half, the students are assigned to work with a non-profit on their social media strategy. I asked Don a few questions about his course as well as one of the non-profits that his students worked with. I think you’ll really enjoy what Don and Dr. Mollie Marti has to say. SG: Why work with non-profits? Don: Gandhi famously said, ““Be the change that you wish to see in the world.” And I take that to heart. Undoubtedly, there are many problems in the world today. I learned early on I can be part of the problems, just complain about the problems or be part of the solution to the problems. I feel one way I can be part of the solution is helping organizations who are working to create change amplify their messages and raise awareness about them and there causes. Non-profits fit that bill. SG: What are the objectives of the course? 2. Help Non-profits, who are starting out with social or who are struggling with social, understand how to begin using it as well as WHY they should be using it. 3. Give the students hands-on, practical experience that helps them when they are searching for jobs. Ultimately, I want students to experience first-hand how they can use what they learn in class to change the world. I want them to realize they can make a difference right now. I also want non-profits to realize marketing and using social media can play critical roles in helping them do they work they are dedicated to doing. Don also connected me with Dr. Mollie Marti of the Community Resiliency Project. The organization was born from the tragic loss of 3 high school students to suicide. The Project is dedicated to empowering communities to support youth in growing their hope, resiliency, and appreciation for life’s possibilities. We are passionate about the advancement of well-being through research-based education and providing resources that empower communities to engage, connect, challenge, and empower youth. SG: How did you initially get involved with Don and his class? Dr. Marti: Prior to serving as CEO of the Community Resiliency Project, I ran a business educational company that hosted annual Make an Impact LIVE! events in Chicago IL. Don attended one of my events in 2011. When he was organizing his students, he thought of my work and invited my new organization to be part of the classwork. Dr. Marti: We implemented several of their recommendations immediately, such as creating a logo, linking our social media accounts, connecting with influencers in the field, and providing regular brief updates. They provided us with a comprehensive plan that we continue to review and use to create additional action items. We are working toward executing and systematizing even more of the recommendations. 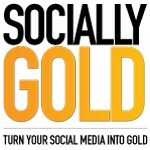 SG: Why is social media important to your organization? Dr. Marti: We are in the business of motivating and empowering communities to strengthen youth. Our work is based on resilience research and best practices that teachers, parents, and youth builders can use to build resilient youth. Social media is a way for us to connect with these learners, as well as with media, potential partners and donors. SG: What impacts from social media have you seen for your organization? Dr. Marti: We’ve been consistently building a following and a brand as a youth building organization. I’ve invited experts that I’ve connected with on social media to be guests on my Resiliency Matters TV show (most recently award winning educator Angela Maiers who I met on Facebook). Each day, I learn from resources shared via social media. Social media allows us to teach as we learn. As I mentioned earlier, I was so fascinated by the format of the course, that I knew I had to highlight it. My dream is to retire and teach a similar course to Don (I’m a few years away from that) but if you know anyone or have any connections, let me know! Don is an award-winning instructor who teaches design, social media and digital marketing courses for LSC. He has a keen interest in applied digital:marketing strategies and tactics. He is also interested in how emerging technologies impact how people seek out and consume information. He is a proud alumna of the UW and LSC and has been teaching in the department since 2000. In addition to his work in the department, Don owns a digital consultancy, 3Rhino Media. His firm provides design and digital marketing work to clients throughout the United States. Don loves talking about digital marketing. He is a regular guest on “Conversations with Larry Meiller,” a 90 minute, call-in talk show heard each week day from 11-12:30 on Wisconsin Public Radio as speaks at events throughout the United States. Dr. Marti is currently the CEO of non-profit @ResiliencyProj, Author of http://www.WalkingWithJustice.com , UI Prof, Psychologist & Lawyer, Wife & Mom of 3 loving life on Iowa apple orchard!